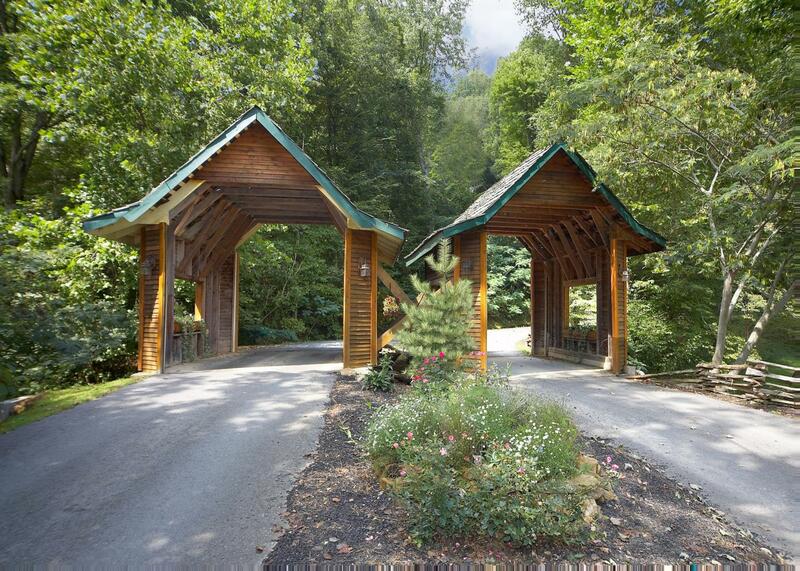 Feel one with the tall pines in this spacious log cabin home in the Brother’s Cove Community. 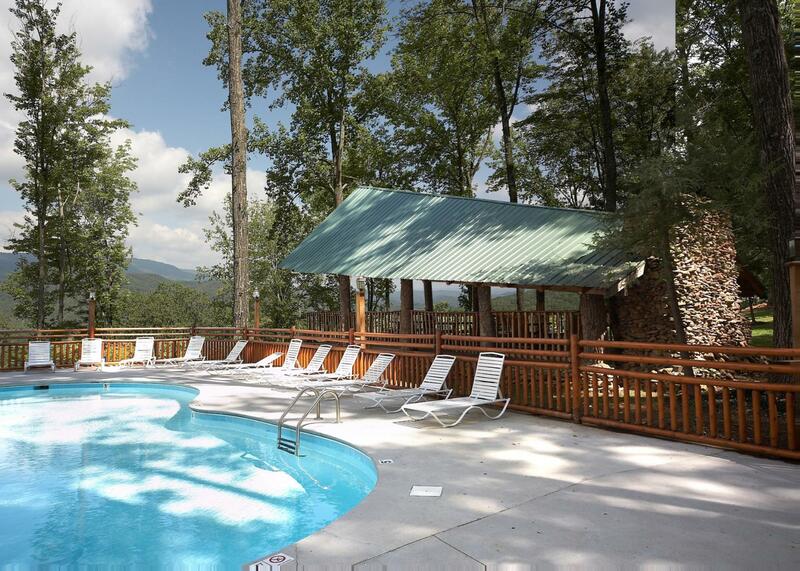 In the Pines is a two bedroom, two-and-a-half-bath home that sleeps 6. 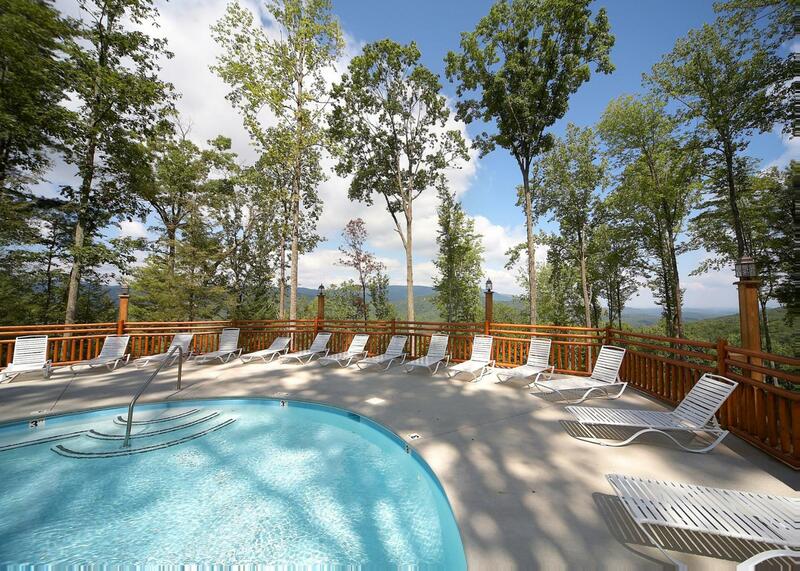 The perfect hideaway offers easy access to the nature and wildlife in the Smokies and provides seasonal access to the community swimming pool. Get a good night’s sleep in the master bedroom, featuring a queen-sized bed, or opt for the second bedroom’s queen-sized bed or the sleeper sofa. Select bedrooms include televisions and private baths. Find a cozy seat in the living room and enjoy the warmth from the stone-stacked, wood-burning fireplace while tuning into your favorite show on the flat-screen television. Enjoy preparing meals in the fully-equipped kitchen, featuring both large and small appliances for your convenience. Dine together as a group at the four-person table and find additional seating at the counter. A charcoal grill is also available for your use. Challenge your family to a game of ping pong in the evening, then head out to the deck to star gaze and look for fireflies. The porch includes a hot tub, rocking chairs, and a porch swing to ensure that there is room for everyone. We are happy to offer free WIFI as well as a washer & dryer in the home. Please note that guests do not have access to the garage. 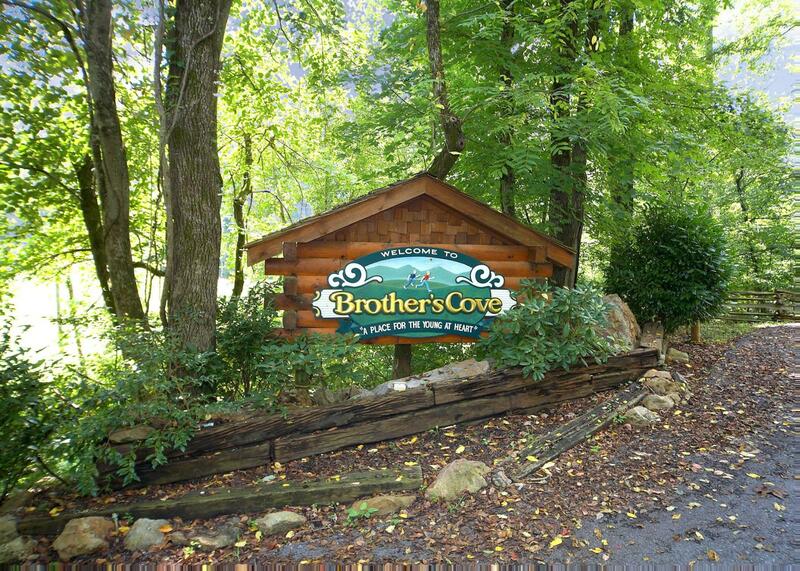 As our gift to you for booking with us, we will offer free admission to select Smoky Mountain attractions. Called the Xplorie Program, our guests will receive one free adult admission ticket, per night stay, to attractions like the Ripley’s Aquarium, the Smoky Mountain Opry and a host of other amazing experiences. It’s our way of saying thank you! In the Pines #13 is rated 4.2 out of 5 by 6. Rated 5 out of 5 by SamG from Best cabin we’ve stayed in! 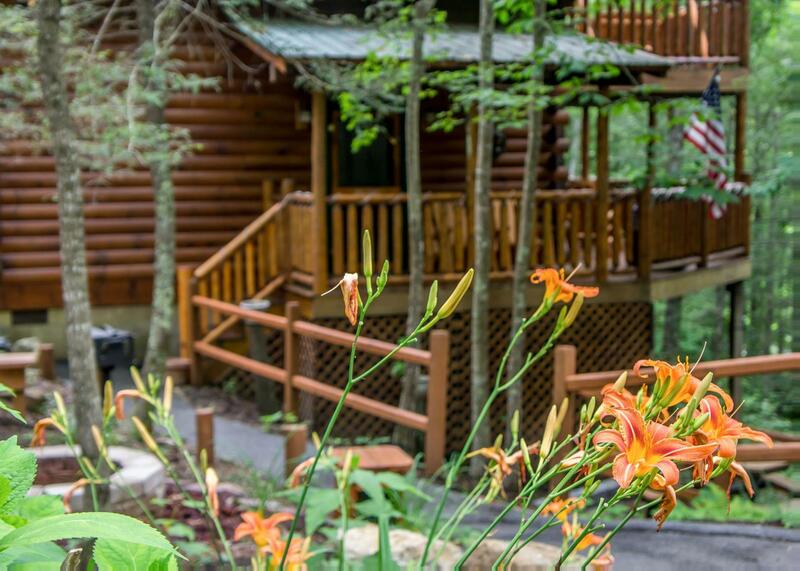 We have stayed in quite a few different cabins in the Smokies and this was by far the best. We were in #13. It was one of their smaller cabins. It came with everything we needed but most importantly it was the CLEANEST cabin I’ve ever stayed in. Top to bottom! There are other cabins around but there is just enough distance and woods between them to give you just enough privacy and make you feel like it’s just your cabin. Not too far from Pigeon Forge. The back road to and from was beautiful! The staff at Brothers Cove was amazing. We went for Christmas Loved everything about this trip!!! Rated 3 out of 5 by Sissy71 from Livingroom needs better sitting arrangements. We visited week after Christmas 2017 for parents 50th Anniversary. Rated 5 out of 5 by Kk84 from Fun-tastic trip We visited in June for our 14th anniversary/family trip. We had a great time.